Finished block size: 10" x 14" Finished penny rug size: 14" x 18"
Designed by Bonnie Sullivan. 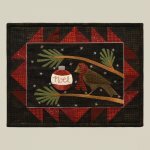 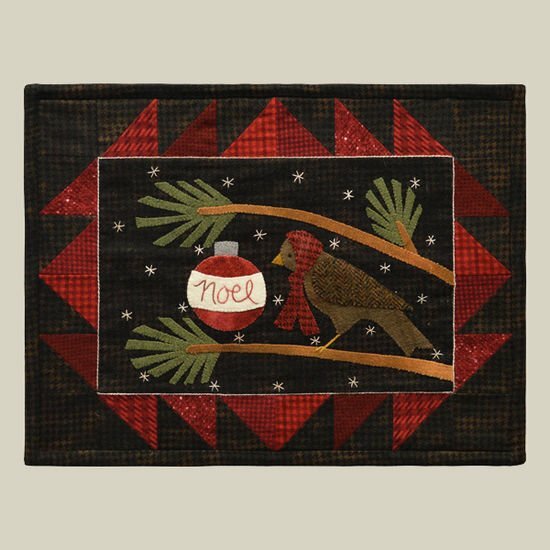 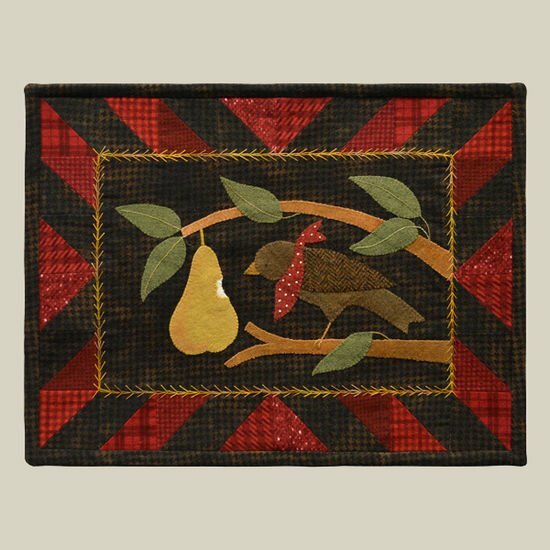 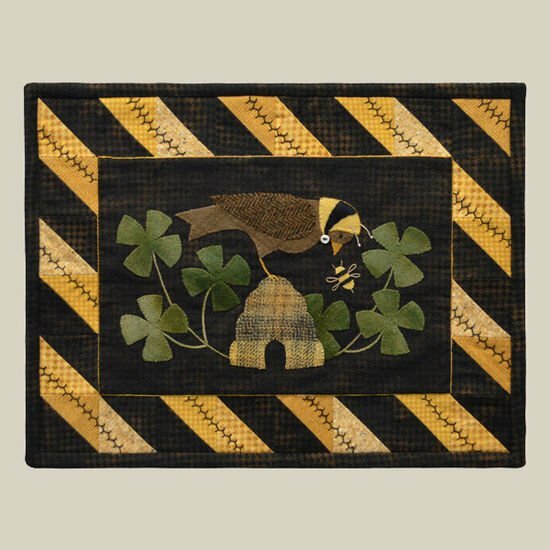 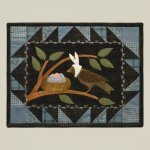 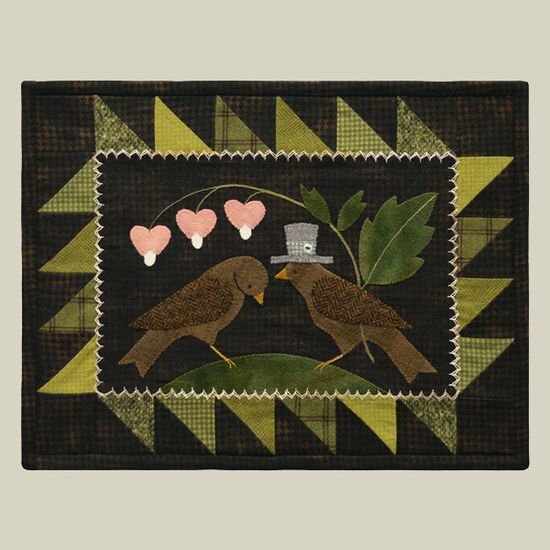 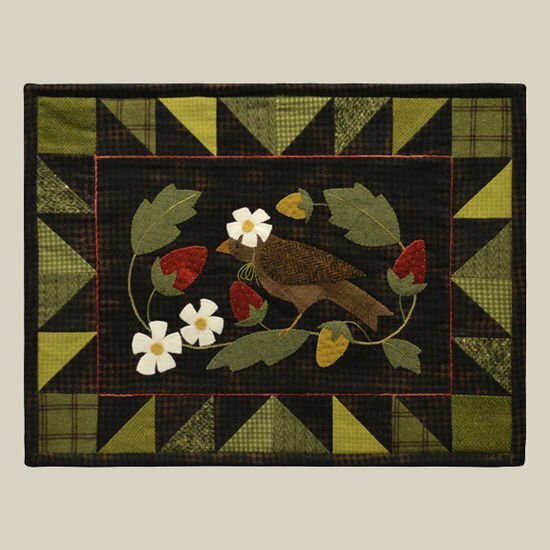 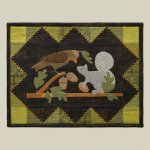 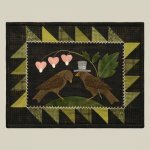 Folk Art with a bit of Whimsy Finished size: 13" X 17"
Cora Common Owl Collage Pattern by Laura Heine Cora, the common owl collage quilt! 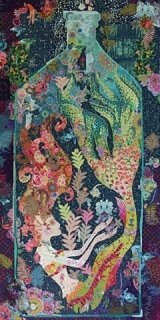 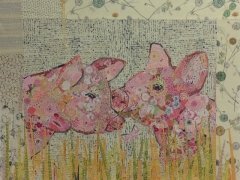 This new collage quilt finishes at 21 x 45. Features fused applique. 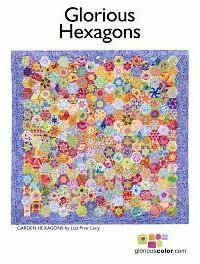 Full sized patterns and instruction to complete this darling owl! 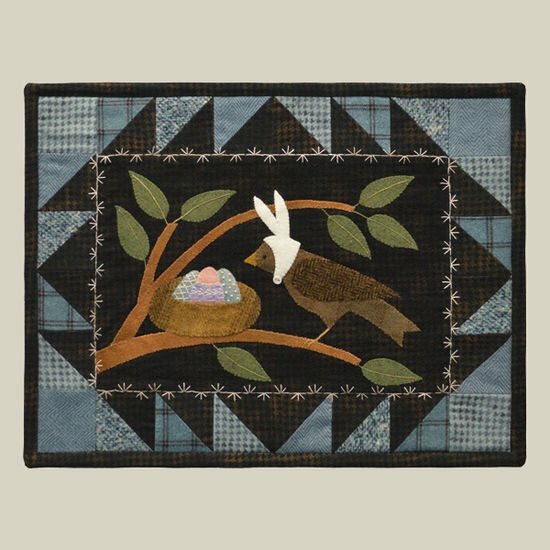 Ebba Collage Quilt Pattern by Laura Heine Ebba Pattern includes full sized patterns and instructions for this fun quilt featuring fused applique and easy embellishing! 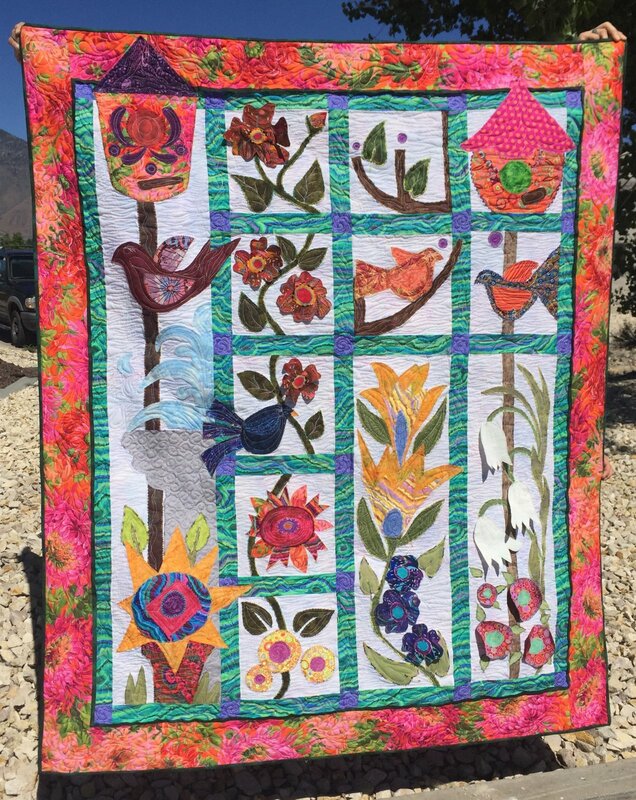 Size 23" X 42"
A fun collage quilt of a butterfly among flowers, designed by Beth Watts for The Fabric Chicks. 32" X 42"
Ombre Gelato Kit makes both projects Giraffe Wall Hanging 19"x43" Curved piecing Table Runner 23"x43"
Collect your Pony Express Blocks This Pony Express18" X 18" Block Kit by Fabric-Chicks features riders crossing the state of Nevada. 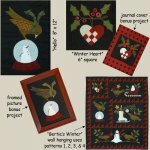 Collect your Pony Express Blocks! 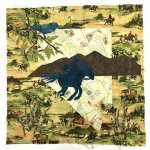 This Pony Express18" X 18" block pattern by Fabric-Chicks features riders crossing the state of Nevada. 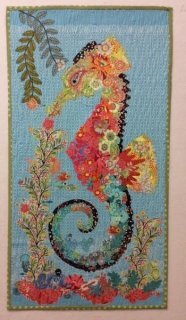 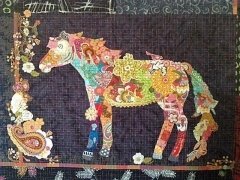 Fall Reflections - Hot Ribbon Applique by Lennie Honcoop - Dutch Quilter Finished Size: 37"x43"
Confetti...a collage horse! 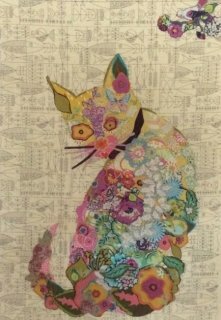 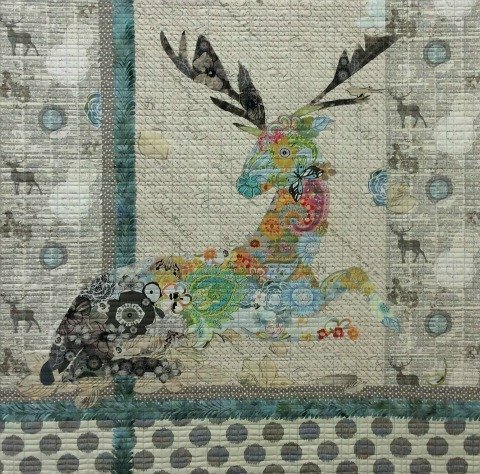 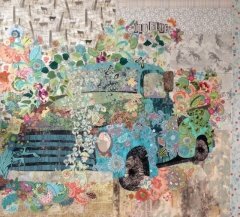 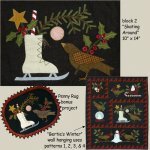 Easy instructions to create your own collage from focal fabrics! 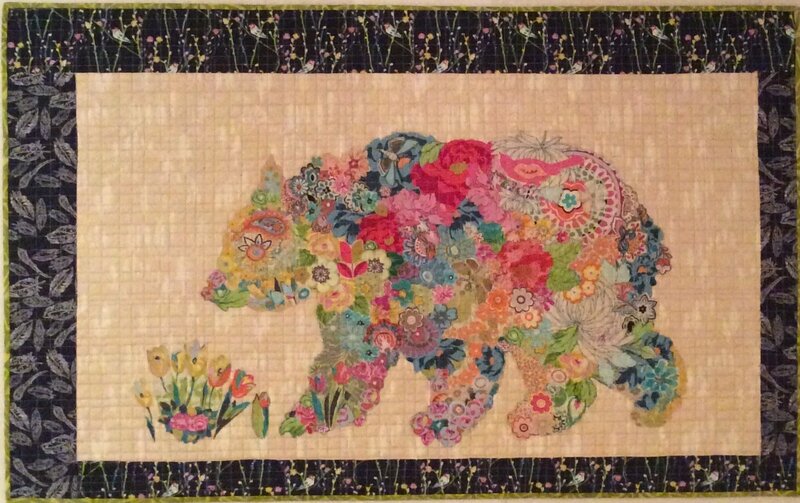 Pattern designed by Laura Heine. 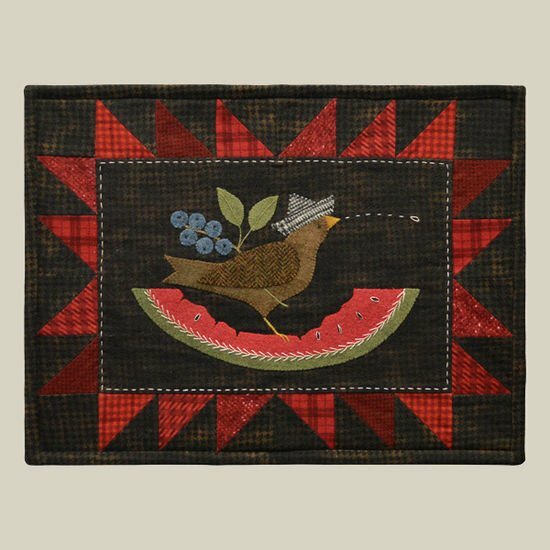 Freida Collage Quilt Pattern by Laura Heine Freida Pattern includes full sized patterns and instructions for this fun quilt featuring fused applique and easy embellishing! 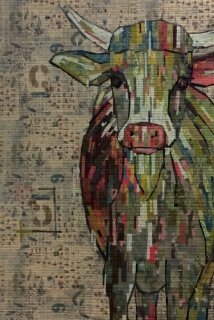 Size 34 x 34. 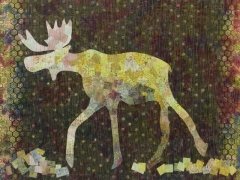 Make this fun moose...easy collage technique! 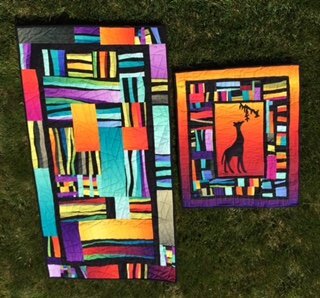 Quilt size is 30x 45. 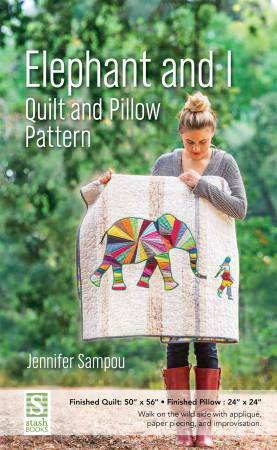 Includes full sized pattern and instructions to make your one of a kind collage quilt! Collage Pattern by Laura Heine Size 43"x41"
Perfect Form...Dress form collage pattern by Laura Heine features her ever popular collage technique of fused applique! 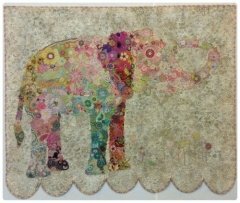 20 x 60 makes it a perfect size for any sewing room! 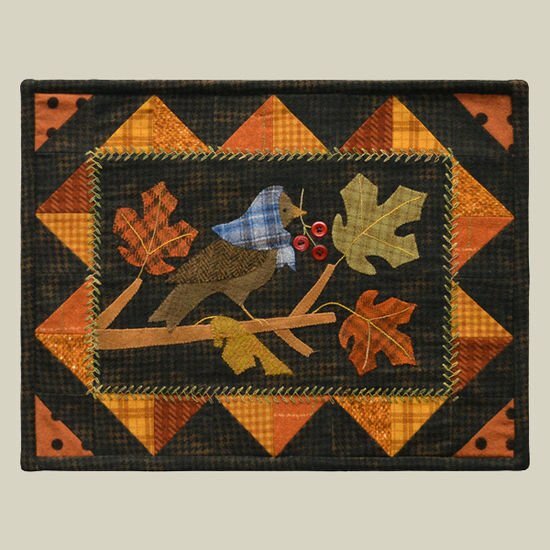 Potpourri Collage Pattern by Laura Heine Potpourri Pattern by Laura Heine Features fused collage applique. 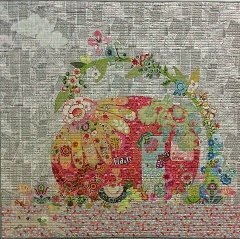 Finished size 42" X 58"
Pinkerton Collage Pattern by Laura Heine Pattern includes full sized pattern to complete the collage quilt. 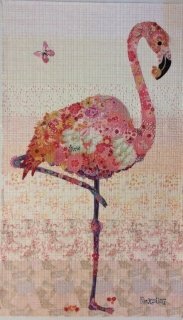 Size 36 x 64. 42x 41 collage wall hanging. 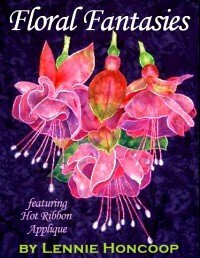 Floral Fantasies featuring Hot Ribbon Applique by Lennie Honcoop (Paperback) - 80 pages Includes 8 full size patterns with step by step instructions. 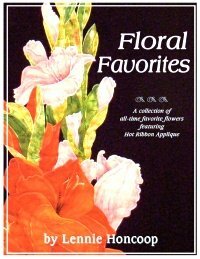 Floral Favorites featuring Hot Ribbon Applique by Lennie Honcoop (Paperback) - 88 pages Includes 8 full size patterns with step by step instructions. 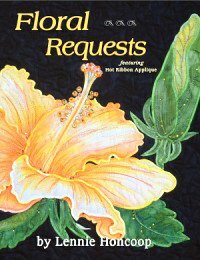 Floral Requests featuring Hot Ribbon Applique by Lennie Honcoop (Paperback) - 68 pages Includes 8 full size patterns with step by step instructions. 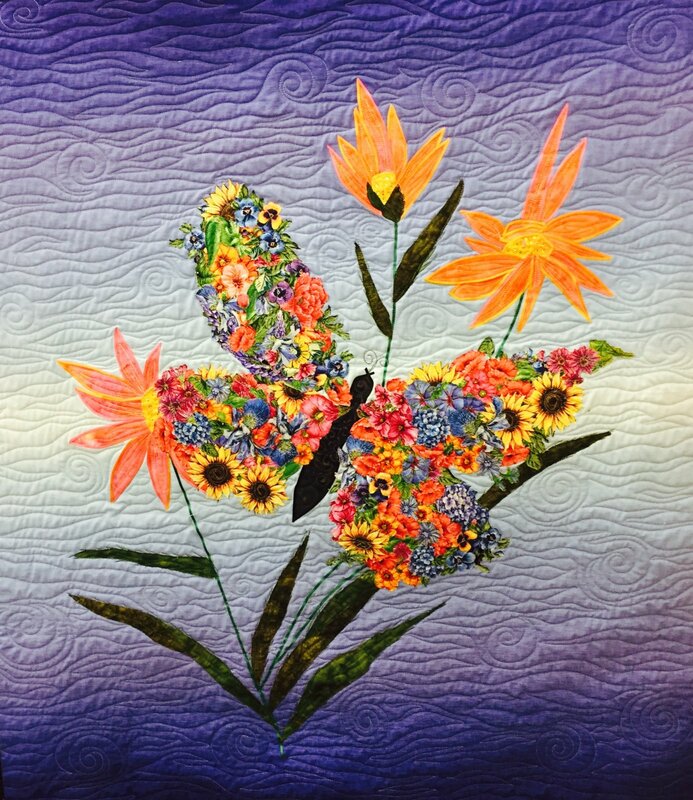 This kit comes with all 6 flower panels! 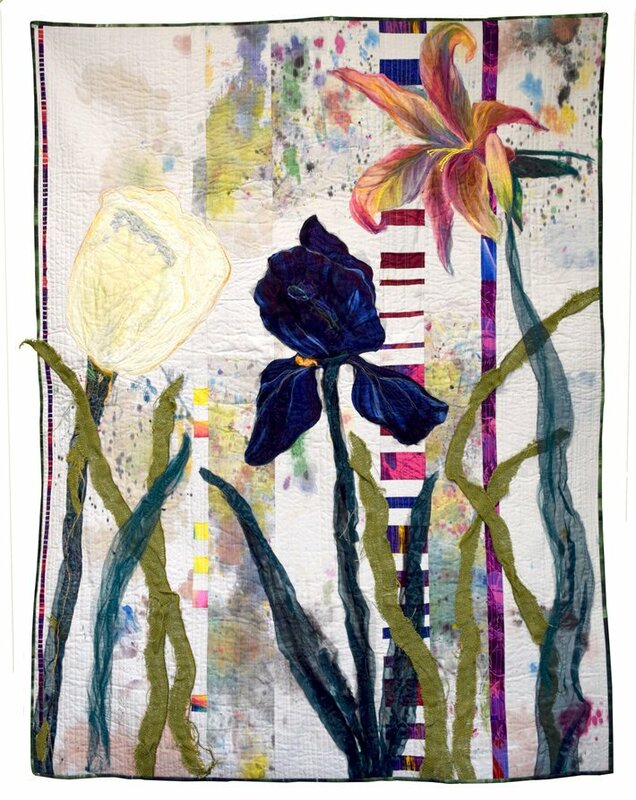 You can make either of the art quilts pictured here with just one kit, or you can pick and choose which flowers you want to add and do your thing! 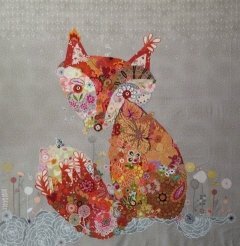 50x58 Approx. 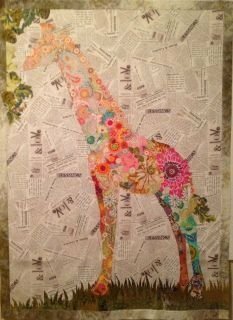 44.5"x 41.5" collage wall hanging. 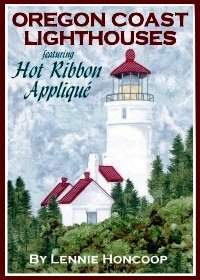 Oregon Coast Lighthouses featuring Hot Ribbon Applique by Lennie Honcoop (Paperback) - 64 pages Includes 6 full size patterns with step by step instructions.